In 2010, the International Civil Aviation Organisation (ICAO) announced training rates in the global aviation sector were dramatically lower than they needed to be. By predicting how many engineers and aviation professionals would be needed in 2030, the ICAO concluded total global training capacity was falling short by some 18,000 places every year. This trend was particularly pronounced in the UK, with a growing perception among young people that the industry was simply out of reach. The shortfall prompted organisations like the Aviation Skills Partnership (ASP) to push back. As part of its campaign to make the industry more identifiable and accessible for British youngsters, the ASP reached out to Norse Group, a company that offers services in property consultancy, care and facilities management. The result of this joint venture is the UK-based International Aviation Academy – Norwich, a cutting-edge learning facility opening in 2017 with the goal of producing the next generation of aviation engineers, flight crews and pilots. This was demonstrated when the partnership tried to get hold of the site itself. By working with local authorities, Norse Group ensured the existing tenants could be relocated quickly and with minimal disruption to their business operations. “The next link in the chain was to secure capital funding for the project”, said Britch. For this, Norse sought public sector involvement from the New Anglia Local Enterprise Partnership (NALEP), an investment agency backed by the UK Government. NALEP provided a £3m grant, which added to a £6.25m commercial loan from Norfolk County Council. Finally, Norse needed a skilled delivery team to get the project airborne. Here, its property consultancy unit stepped in, working collaboratively with WT Partnership, as well as ASP and RG Carter, the main contractor. 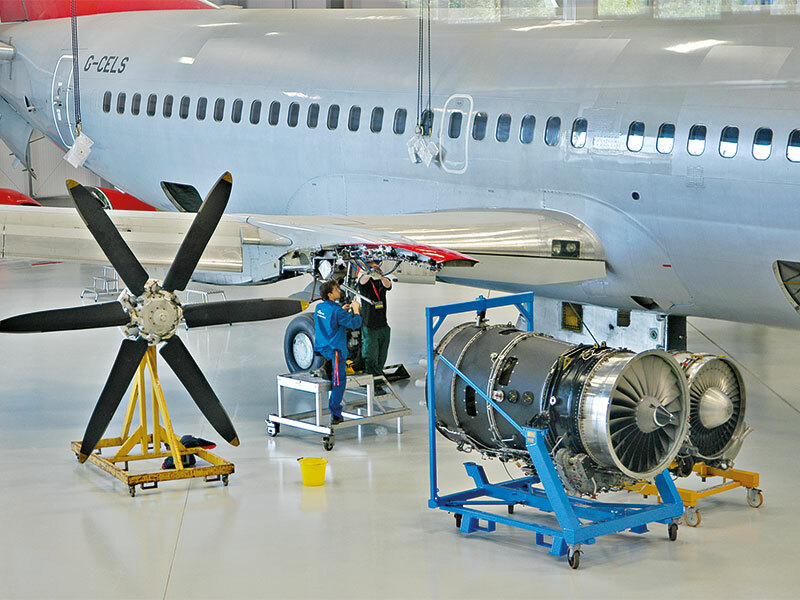 The project was boosted when City College Norwich, the University of East Anglia and KLM UK Engineering confirmed they would jointly provide expert training to the facility’s 240 students. KLM Engineering provided the 737 training aircraft. Throughout this process, Norse was the asset-owning vehicle and recipient of grant and loan funding. It was responsible for the leases on the building and its aircraft, which include a full-size Boeing 737. The group also ensured all grant funding conditions were fully discharged. The academy project illustrates the power of specialisation within ambitious partnerships. Norse has shown its aptitude for collaborations, particularly as it was committed to others at the same time, including working with Broadland District Council for local house building schemes. “We are not just constructing houses”, said Britch about the project. “We are delivering high-quality homes that create a sense of place and respond to the needs of the local community.” Norse has spearheaded this effort through a company called Broadland Growth, whose first development was Carrowbreck Meadow in Hellesdon, a 14-dwelling housing development within a mature woodland setting. In keeping with its ethos of collaboration, joint venture and openness, Norse gave tours of the site to practitioners from Passivhaus, the leading international low energy design standard, so its methods of construction could be observed and understood. Moreover, Hamson Barron Smith, Norse Group’s design company that includes specialists in housing design and sustainability, provided a technical site tour for delegates of the East of England’s first certified Passivhaus designer training programme. Carrowbreck also allowed Norse to demonstrate its commitment to environmentalism, which is an integral part of quality living standards across Broadland Growth’s projects. In order to keep the company at the cutting edge of low-energy design, architectural flair has been combined with the highest standards of sustainability throughout the construction process. “Carrowbreck provides an important case study in terms of both partnership working and creating comfortable, healthy, affordable homes”, Britch said. Most importantly, it highlights the mutual financial benefits joint ventures can bring as Norse establishes attractive profit-share agreements with its partners, so a percentage of earnings can be invested back into public funds. The sale of the Carrowbreck homes ultimately surpassed expected values, returning over £1.2m to the public purse. The popularity of Norse’s unique services has allowed it to grow rapidly in recent years. Today, the company employs 10,000 staff, realises £321m in annual turnover, and has a forward order book of £3bn. Over the past five years, its joint venture partnerships with 24 local authorities to provide FM, waste and care services across the UK have helped to generate public sector savings of more than £50m. While collaborative projects such as the Aviation Academy and Carrowbreck are effective in releasing the entrepreneurial potential of the public sector and speeding up the delivery of public services, they also carry risks. For example, since joint ventures are so successful, it is always possible other public sector bodies could duplicate Norse Group’s business model and thereby reduce its opportunities to grow. “Flexibility is the key to mitigating such risks and responding to the changing trading environment in a positive way”, Britch explained. In this vein, Norse has recently introduced a corporate social responsibility strategy called ‘the Norse Way’, which allows it to generate profits for its local authority partners, while at the same time continuing to invest heavily in the communities in which it operates.